Welcome to The Petty Archives! 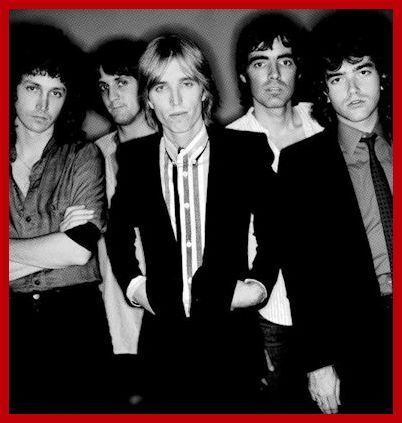 We're dedicated to preserving the history of Tom Petty and the Heartbreakers. Our goal is to compile information so fans can learn more about one of America's most iconic rock bands. Please use the drop down menus or search box to explore the archives. To learn more, visit About Us where you can read our story and contact us. This website is free to use, and will always remain so. We hope you will share your love of the Heartbreakers and refer your friends to The Petty Archives. For rare photos, fun conversations, and updates, follow us on Facebook or check our News page. ...that this website accepts donations, which go directly towards our hosting fees? ...that the concrete slab bearing Tom Petty's handprints, intended for a Gainesville Walk of Fame, eventually ended up sitting in a garage? ...that the Hard Promises tour was delayed because Tom Petty injured his knee on a trampoline? "I called Tommy up and said, 'If you're bored, we need a helping hand.' He liked the band and bam!"